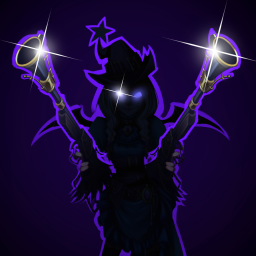 Difference between revisions of "Gun Witch"
While many mages carry staves and cast traditional elemental spells, the Gun Witch would much rather carry a giant long-range rifle and imbue its bullets with magical properties to deal with her adversaries. She prefers not to have her defenses do the fighting for her and instead focuses on user her rifle, bullets, and wings to snipe at important targets and baffle larger crowds. Lore: The Gun Witch gleefully races to the defense of Etheria on the back of her magical Gun Broom. 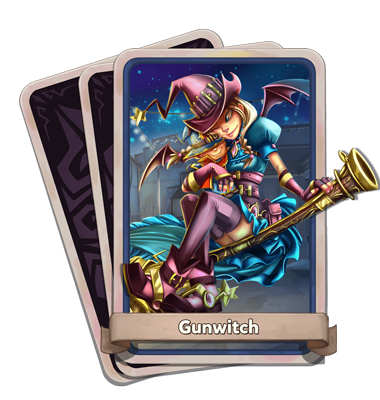 Made from witchcraft, curiosity, and a touch of gunpowder, the Gun Witch cleans up the battlefield zipping from ground to sky, blasting her foes with magical projectiles, wicked spells, and mysterious hexes. 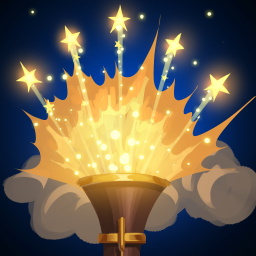 Blunder Broom Buster: Fires a short-ranged spread of nets, dealing magic damage, stunning enemies, and increasing damage dealt by Scatter Sweep. 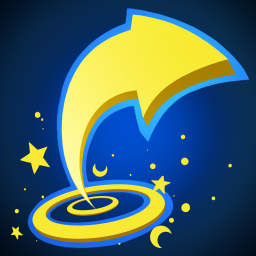 Scatter Sweep: Blasts all enemies at close range with a magical shotgun attack, knocking them back. Deals more damage to enemies affected by Blunder Broom Buster. 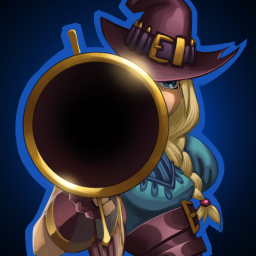 Broom Vault: Casts a magical explosion at the Gun Witch's feet, damaging enemies and launching her skyward. 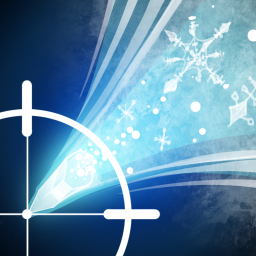 Ice Needle: Fires a magical ice needle, dealing magic frost damage and freezing the first enemy hit. 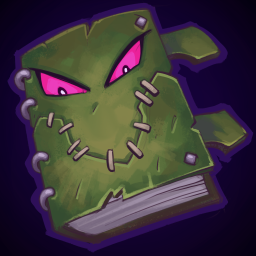 Book Drop: Transmogrifies your enemies into books for a short duration, stunning them and increasing all damage taken. Two at Twice the Price: Equip an extra gun broom and go fully automatic on your enemies, dealing massive magical damage. 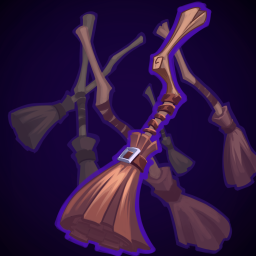 Broom Nado: Summons a swarm of brooms that linger in an area, dealing magic damage each second to all enemies. 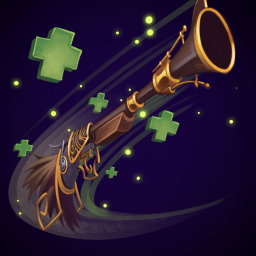 Vroom Broom: Catch a ride on the Gun witch's broom scooter, increasing moving speed and restoring health. This page was last modified on 7 December 2017, at 17:20.